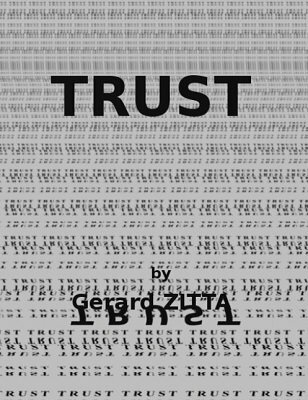 Trust: A spectator guesses the card placed in full view on the table at the very beginning. (Uses dual reality among other bold principles, but the cool thing is that the participant can swear in front of everybody that it is the same card). There is absolutely no force for the spectator's card. Variations on Trust: Including an interesting one with a business card where you write the card (before the spectator reveals her card). Crossword: Another, and different, method for "Trust". Smashed: The spectator forgets her drawing. Subliminal: An interesting addition to a force. This one can be used for any word, name, color, card, numbers, etc. x=Hi2-E1: A (more) logical force. Zoom: A new principle and interesting idea, applied to cards. Speed dating: The spectator selects a card and finds its mate. Rendez-vous: Two spectators find their respective cards. Number 3: A quickie that can be used as a transition to effects with numbers or calculations. Count on me: An old principle revised for divining small numbers. PIN down: A PIN divination with a borrowed phone. 1st edition 2014, 40 pages.